Directions: Cleanse face twice per day, at morning and at night. Apply to damp face and throat with moistened fingertips or a gentle sponge. Rinse completely with lukewarm water. Blot dry with a towel. 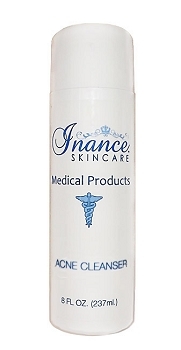 Directions: After using an Inance cleanser of your choice, apply Inance Toner onto your face and neck using a cotton pad. Use in the morning and at night. Do not rinse off. 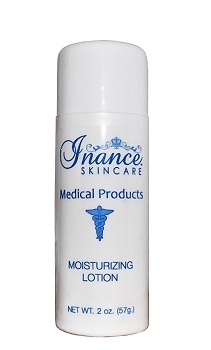 Directions: Apply after cleansing skin at night. 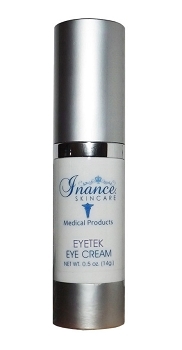 Place small dots around the eye area and smooth in until thoroughly absorbed. Avoid getting into eyes. Water, Aloe Barbadensis Leaf Juice, TEA Lauryl Sulfate, Glycerin, Cocamide DEA, Carbomer, Triethanolamine, Carthamus Tinctorius (Safflower) Seed Oil, Prunus Armeniaca (Apricot) Kernel Oil, Panthenol, Squalane, Simmondsia Chinensis (Jojoba) Seed Oil, Fragrance, Methylparaben, Hedera Helix (Ivy) Extract, Ulmus Fulva (Slippery Elm) Bark Extract, Propylparaben, Daizolidinyl Urea, Ascorbic Acid, Saponins, BHT. 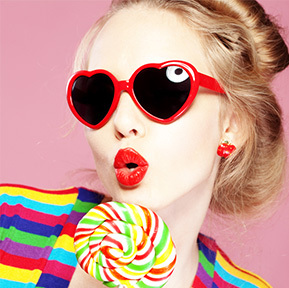 Sodium PCA, Polysorbate 80, Glycolic Acid, Allantoin, Citric Acid, Chamomilla Recutita (Matricaria) Flower Extract, Centaurea Cyanus (Cornflower) Flower Extract, Benzethonium Chloride, Fragrance, Disodium EDTA, Menthol, Saponins, Blue 1. 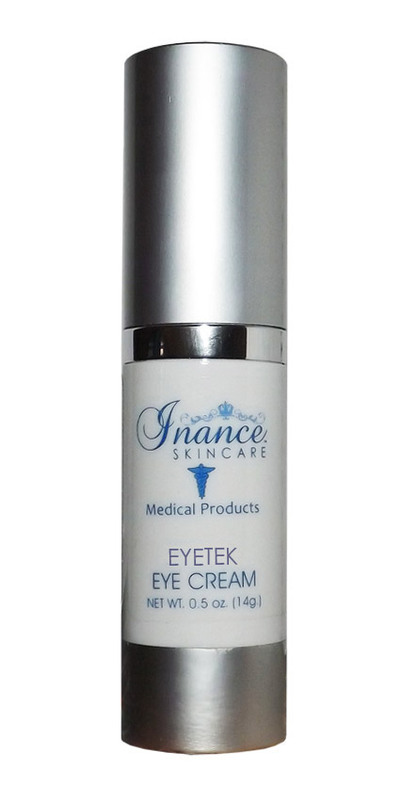 Ingredients: Gorgonian Extract (Sea Whip), Yeast Extract, Squalane, Acetyl Tetrapeptide-5, Placental Enzymes, Bisabolol, Vitamin E, Deionised Water, Mineral Oil (Pharmaceutical grade), Decyl Oleate, Cetyl Alcohol, Glycerine, Glycerol Stearate, PEG-40 Stearate, Caprylic/Capric Triglyceride, PEG-100 Stearate, Dimethicone, Phenoxyethanol, Methylparaben, Propylparaben, PEG 75M, Disodium EDTA. ***Offer only good while supplies last, Can not be combined with any other coupons, offers or other promotions*** Shipping Cost is 6.95. 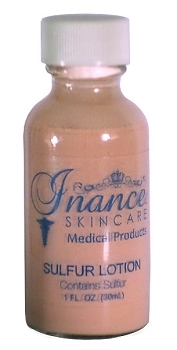 Inance Acne Drying Sulfer Lotion 1 oz.